In the well-preserved land of the French New Caledonia, blue shrimps thrive thanks to an exceptional natural environment. Protected by a 1,600-kilometer-long barrier reef, the lagoons of New Caledonia are a real paradise pour the local marine flora and fauna. This extremely privileged environment, along with the island’s temperate climate, procures ideal conditions for nurturing a pure species with distinguished quality. As a result, shrimp farming here can be operated in nearly natural conditions. 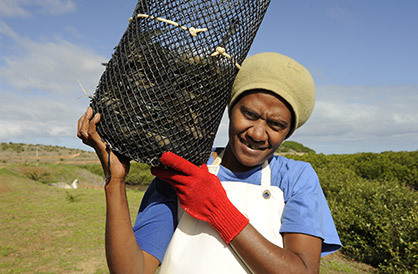 Since its creation in 1994, SOPAC has practiced a program aimed at observing, monitoring and optimizing the impact of aquaculture on the natural habitat, in collaboration with research organizations. The quality of our shrimps perfectly reflects the pure and unique ecosystems of New Caledonia. 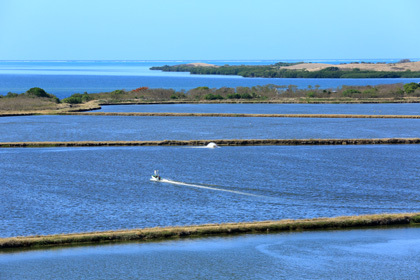 For thirty years, Caledonian shrimp farmers have been dedicated to preserving the incredibly rich natural habitat (about 15,000 marine species of which 5% are endemic) as well as the pure waters of the lagoons. They build shrimp farms on the coast, behind the mangroves. The farms are not only eco-friendly but also an invaluable contribution to the economic and social development of local tribes, as they provide job opportunities and professional training. In addition, only one breeding cycle of six to nine months takes place annually, allowing the shrimps to proliferate in harmonious conditions and the habitat to recuperate thoroughly.